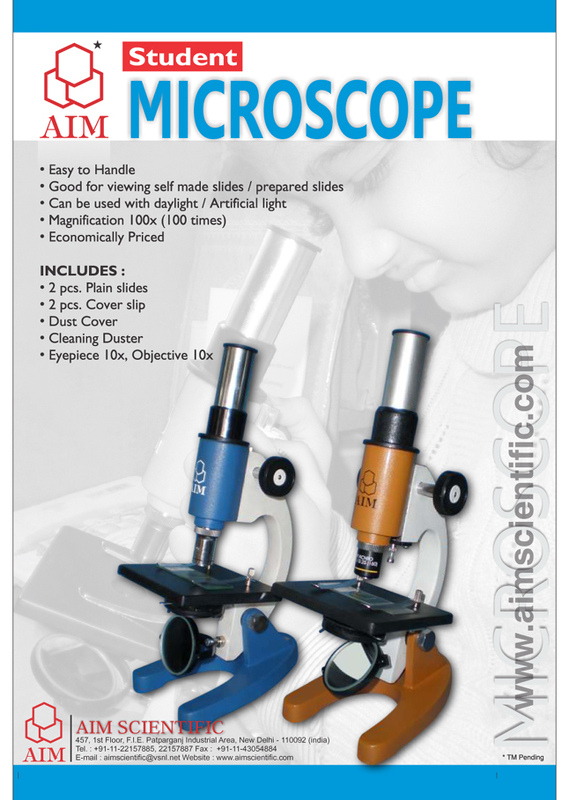 Aim Scientific was established in 1996 with its office located at New Delhi - India and managed by professionals having sound experience in this field. Constant reviews and extensive discussion with manufacturing industry leads to constant development of our product range. Besides providing a standard product range we are also able to discuss, design and supply custom products according to customer specifications and packaging requirements. Our products are exported to various countries. Future: We are constantly looking forward to the expansion of our activities and we are working to expand our product range with products that are complimentary to our existing range.